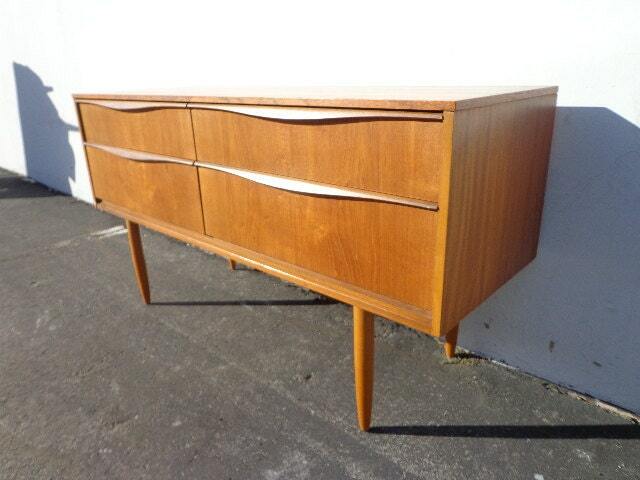 Phenomenal Danish MCM teak finish dresser / chest / credenza / cabinet / sideboard. 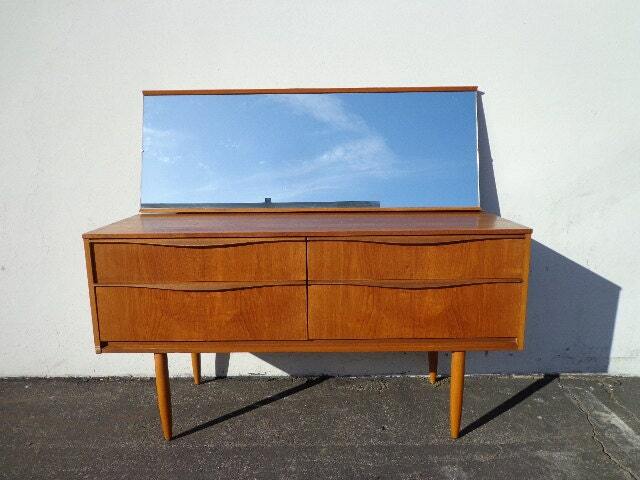 This beautiful 4 drawer dresser with removable mirror is midcentury modern design at its finest. 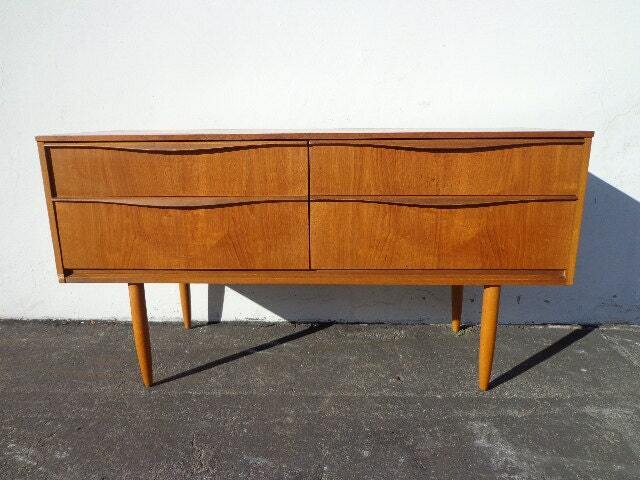 Featuring sculpted wood legs and handles. 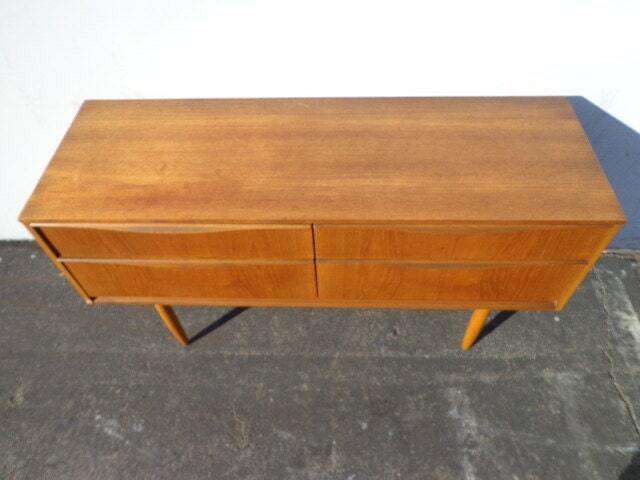 This could be used in a bedroom setting, as a media console, entry way, credenza, buffet, chest, entry way table, cabinet, anywhere. 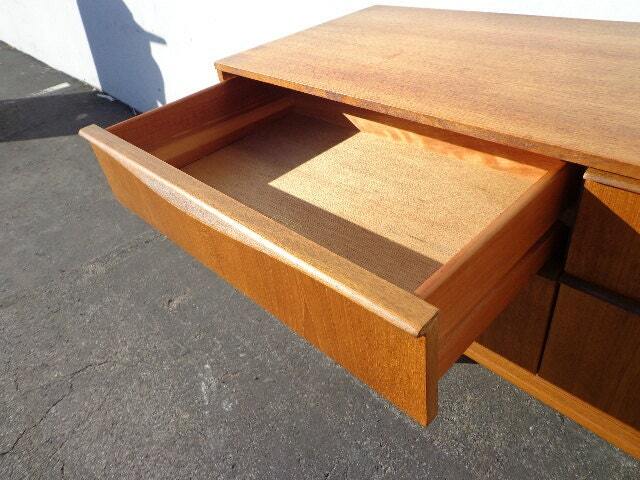 Overall good vintage condition and sturdy. Shows surface wear from age and use. Shows wear that is commensurate with its vintage age. Dimensions: 49 1/4" x 16 1/2" x 26 1/4"